If you are employed as a seaman, you are entitled to maintenance and cure benefits if you are injured on the job. Unfortunately, it is common for employers to try to avoid paying maintenance and cure benefits for injured Jones Act workers in Houston, TX. When this happens, the Jones Act lawyers at Richard J. Plezia & Associates can help. Maintenance is a daily stipend intended to cover your room and board expenses. As a seaman injured on the job, the maintenance portion of benefits will pay to keep a roof over your head until you can return to work. Payments are usually made every two weeks by check. Maintenance payments cover the entire rehabilitation timeline, from the last day of unearned wages until reaching recovery from your injury. Full recovery is called “maximum medical improvement.” When this is reached, your maintenance payments will end. As you recover from maritime injuries sustained on the job, maintenance payments will help cover your room and board. The payments end when you are fully recovered, reaching “maximum medical improvement.” How is this calculated? Maximum medical improvement (MMI) is the point at which the seaman’s condition becomes fixed and stable and is “the best it will ever be.” Your doctor decides when medical treatment is no longer curative. Treatment is considered “curative” if there is a possibility that it will not only relieve symptoms, but also improve the underlying condition. For example, if you suffered a broken bone that is causing pain, a curative treatment will be focused on relieving pain and healing the broken bone. Once the doctor has concluded that treatment is no longer curative, the payments for maintenance will end. Maintenance covers room and board, and “cure” covers all reasonable and necessary medical treatment related to an injury or illness sustained on the job. A seaman is allowed all reasonable medical care need to help heal. Cure payments allow each seaman to select a doctor of their own choosing. They are under no obligation to use the medical provider that their employer selects. 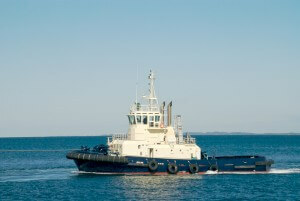 In general, the doctor will bill the vessel owner or operator directly for all charges that fall under cure. What If My Employer Refuses To Pay Maintenance and Cure Benefits? If you have been injured working as a seaman and your employer refuses to pay your maintenance and/or cure related to an injury claim, the first thing to do is contact the maritime attorneys at Richard J. Plezia & Associates. Our experienced maintenance and cure attorneys can also explain the three other types of damages that you may be eligible to receive, including attorney’s fees, compensatory damages, and punitive damages. Call Richard J. Plezia & Associates today at 1-800-428-1853 to schedule an appointment and fully discuss maintenance and cure benefits for Jones Act workers in Houston, TX.